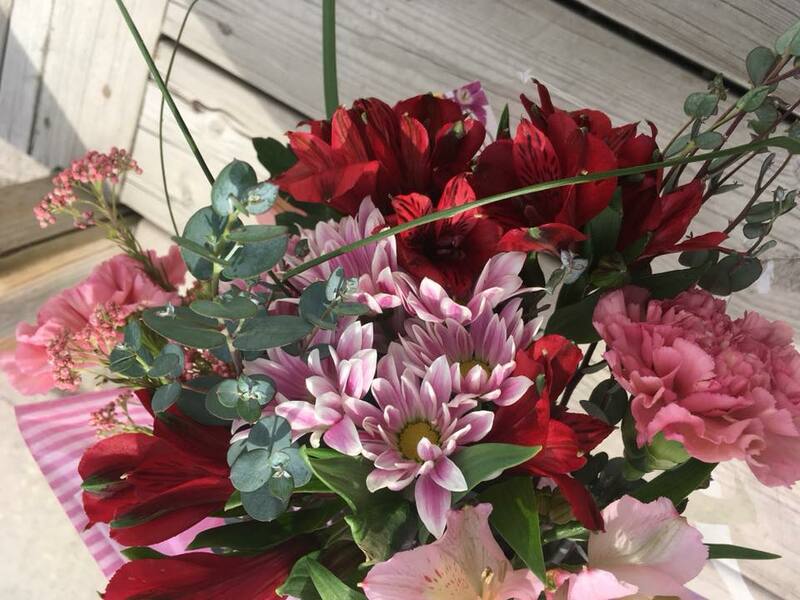 A mix of every day favourites - could include anything from daisies, alstroemeria, carnations, miniature carnations, spider mums, cremones, Asiatic lilies, roses or Gerbera daisies and maybe a few surprises! 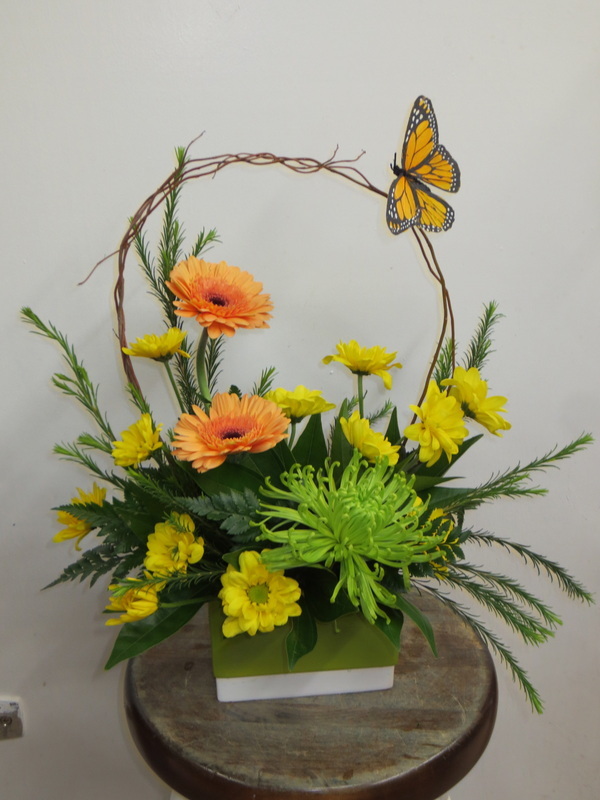 We always include filler flowers and greenery in our bouquets. A garden of flowers arranged in a rectangle ceramic container. 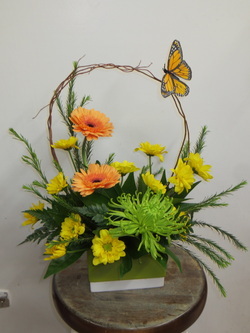 Includes miniature Gerbera daisies, daisies , spider mums and a beautiful feather butterfly on a willow arch. The colour of the flowers and container may vary from the image shown. A ceramic pot overflowing with daisies, filler flowers and greenery! 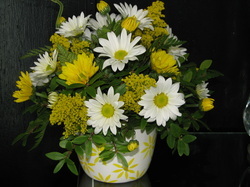 Style of pot may vary and other colours of daisies are available.